Albany Tree Removal knows that well-maintained trees enhance the beauty and value of your property. Our friendly team of certified arborists can help you achieve whatever you’re looking for whether it's perfect aesthetics or getting rid of a dangerous tree. We offer tree removal, pruning, maintenance, and stump grinding in Albany, New York. For more than 20 years, Albany Tree Removal has provided quality tree care in Albany and the surrounding area. We believe that trees are a valuable resource that need to be protected. Our expert team of tree cutters brings years of experience to every job, providing fast, affordable tree solutions with a strong mind to safety. We consistently receive raving reviews because of our dedication to high quality work and our core value of integrity. Whether you’re maintaining a golf course, apartment, home, or commercial property, tree services are important to the health of the environment and the appearance of the area. Don’t allow your trees to get out of hand. Call Albany’s top tree care company today at (518) 293-3006. and schedule a free consultation with one of ours specialists. ​Our tree removal service is fully insured, which is very important in this line of work. If there was an accident on your property, you could be held liable for any injuries or damaged sustained by the contractors; you don't want that! Instead of taking that risk, trust Albany Tree Removal. We have a team of licensed professionals with complete liability and worker’s compensation insurance to protect both our workers and your family in the event of an accident. We believe it's better to be safe than sorry, especially when it comes to the financial health of our families. Tree removal consists of cutting down a tree and removing it from a property. Many times, the need for tree cutting arises simply because trees were planted years ago without regard to their potential size when fully grown. We see this issue frequently in cities and small suburbs. Someone plants a small tree near their home, and a few years down the road, the tree is so large that it appears to be devouring the house because it has fully matured. In cities, our service is typically needed when a tree’s branches has extended into or around a power line or a phone line. Thousands of calls come into our dispatcher when a storm hits the Capital Region, as trees and branches start to fall and cause damage. ​Regardless of the size or location of the trees in question, we can handle it. Our skilled workers have state of the art technology and equipment to get the job done efficiently and effectively. Do you have a tree in a tight space that needs to be cut down? No problem! Let us know and our team will get rid of the tree for you. We serve everyone from the small house to the neighborhood apartment building to the city golf course. Tree trimming and pruning is the process of selectively removing limbs or branches in order to allow for better air flow and more sunlight. Tree trimming services are ideal for enhancing the aesthetic appeal of your property, while also ensuring the health and safety of the environment. This type of service is routine maintenance that is needed when trees have branches that are diseased or dying. As with anything, it is very important to prune the tree correctly so as not to damage it. If you see a weak or dying branch, it should be cut just beyond the collar of the tree, which will allow it to sprout a new branch in a matter of weeks. Trust the tree trimming process to us. We will make sure the job is done correctly, so the trees stay healthy, your property value remains high, and your price stays low. Having worked together for years originally in upstate New York, our partner tree service in Elkart, IN and our tree service columbus ga contractors follow the same processes we do. No matter where you find our team, you'll be assured quality results at a great price. Land clearing is the removal of trees and bushes from a property in bulk. This is often requested for the purpose of fire prevention or to create space for construction, but there are many other reasons a person might need this service. We perform land clearing for both commercial businesses and residential property owners. Our team has the right equipment to fit any situation and they are up to date on the deforestation laws applicable to New York State. Whether you are looking for land clearing and tree removal with preservation of the natural habitat, or full demolition of an area, we can handle your project, big or small. One of the area’s prominent local golf courses requested our services a while back for the redesign of their back nine holes, in order to make the course more open (and less challenging). The trees and bushes we removed were turned into mulch which the golf course then used in their landscaping. An example of a smaller project would be the couple from Latham that recently asked us to remove some shrubbery and a couple trees that were blocking the sunlight in their backyard and dropping leaves in their pool each fall. Our general landscape maintenance and tree care services are available to everyone, so call us for a free estimate. Stump grinding and removal is a frequently requested service that we offer. Storms can wreak havoc on trees, causing them to lose branches, or the tree to fall over destroying everything in its path. If you have a stump on your property that needs to be removed, call us. Our stump grinding service is the best in Albany. We will bring special machinery to grind the stump down to its core and then remove it for you. Stump removal provides both safety and aesthetic appeal. Emergency tree services are available 24 hours a day 7 days a week in the event of an incident. We have seen everything from a tree knocking out power lines to a tree falling on a home or a car. Your safety is our highest priority. If you have an emergency situation with a fallen tree or limb, don’t hesitate to call our emergency tree removal hotline. When our dispatcher receives your call, you can rest assured that units will be on their way to your location quickly. At Albany Tree Removal, our sole objective is to exceed your expectations, and we will do that by delivering on our promise of fast, reliable service at a low price. ​We are your local tree care service in Albany, New York, offering a quick response team of licensed and insured tree arborists that collectively have over a century of experience in tree care and maintenance. Despite a wealth of competitors, we believe Albany Tree Removal offers the highest quality tree care at the most affordable rates, and we guarantee our work. Additionally, our team is ISA certified. 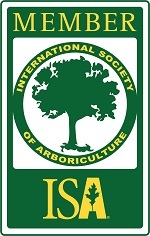 In case you don’t know, the International Society of Arboriculture (ISA), strives to build awareness of the practice of arboriculture and the value of trees on a global scale. ISA certification is the highest honor one can achieve in the tree industry and it certifies that each member has received the latest education and training on tree maintenance and the cutting edge technology used in the field. Our team of ISA certified professionals has demonstrated time and time again the ability to identify numerous areas of improvement and deliver an affordable, quality job safely and on time. Lastly, we will clean up the property when we’re done!